Bloomberg Government is a research platform that provides you with focused news and analysis, rich data, expert insights, and more – everything you need to generate opportunity and influence the influencers. Whether it’s relevant policy news to inform your next meeting on the Hill, or directories to find the right people to meet with, Bloomberg Government is your key to open all the doors. 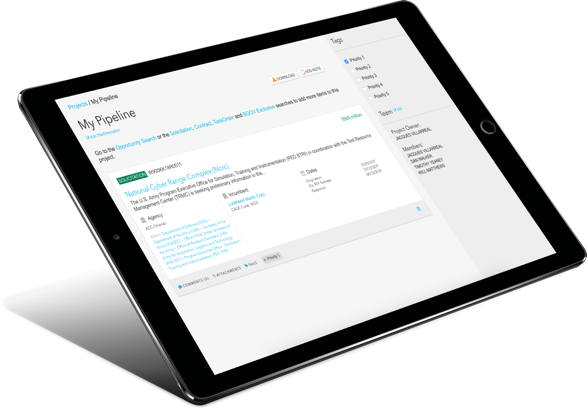 Win opportunities and grow your pipeline through best-in-class data and analytics that help you track developments with profit potential to find, win, and retain business. Access unmatched data. Utilize proprietary tools and resources and shape the data to best serve your needs. Every task order and statement of work for every major contracting vehicle, including small-business competitive and set-aside spending. Track all of your outreach efforts in one place. Bloomberg Government empowers your team to collaborate, network, and report to stakeholders. Motivate your audience to take action with Bloomberg Government’s new grassroots advocacy platform. 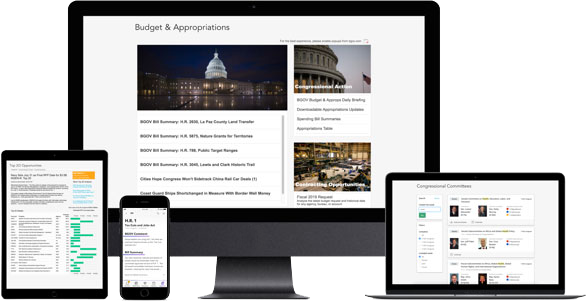 Megaphone by Bloomberg Government allows you to quickly build high-impact landing pages that connect your supporters to key policy influencers and decision-makers. with Washington’s most prominent minds. Schedule an in-person or virtual product demonstration.